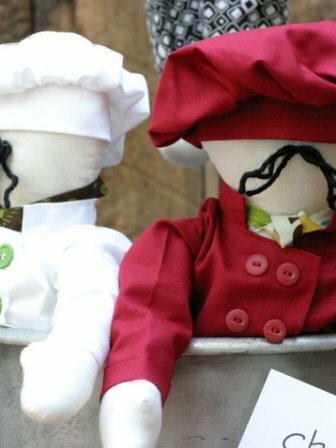 these chefly rhagdolls grew out of the love of cooking and baking, inspired by my great-grandmother and twenty years of cooking professionally. a chef's coat still hangs in the back of my closet. 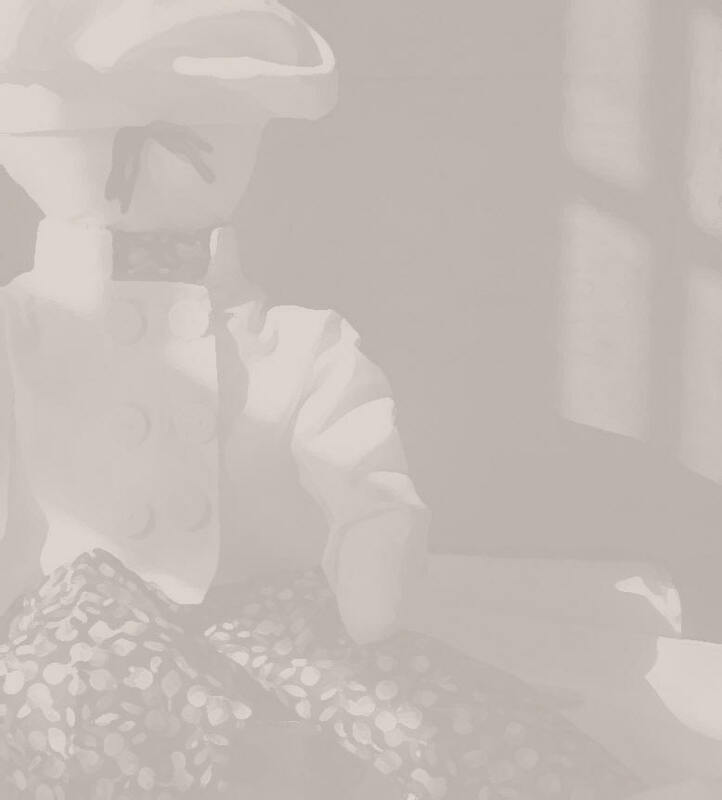 these soft sculpture kitchen professionals wear the traditional 6-button coat, food print pants, a matching neckerchief and a big floppy hat. and what chef's togs would be complete without a kitchen towel in the back pocket? the 'Jacques' version has a black mustache, as every chef I ever worked with had one, and the 'Julia' version has shoulder length black hair (unless otherwise specified). coats have Velcro closure. clothes can be removed and machine washed. bodies can be sponge washed. very kitchen friendly! he can decorate a cookbook shelf, or like mine, on the dining table lounging in grannies fruit bowl! Click here to email Trese for more details, or click here to visit the Facebook page. for the grill master! limited quantity!